Team up with Style Vacation Homes by Louis Shaw and increase your property value and overall rental and sales revenue. 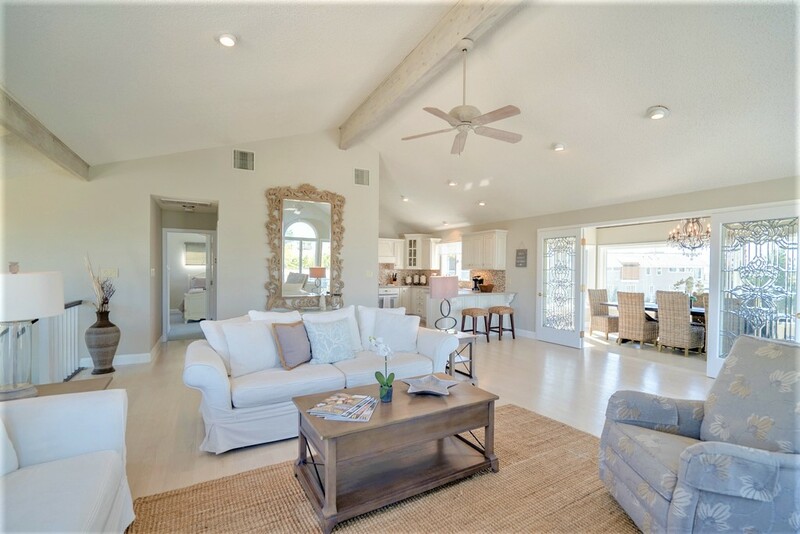 Owner hereby engages LOUIS SHAW, LLC d/b/a Style Vacation Homes to showcase his home for procuring vacationers for the property with the powers and duties more specifically outlined in Section 2 hereinafter under a Premium Agreement on LOUIS SHAW, LLC web site. SVH may engage in business activities that compete directly or indirectly with the business of the Owner by acting as an advertising and marketing manager for owners of other properties located in the same geographical area as the property of the Owner. 2. Duties and Responsibilities of SVH. Maintain communication and manage vacationer-related issues before they travel, as well as during and after the dates of travel to monitor vacationer’s satisfaction. 4. Website Design, Maintenance, and Ownership. SVH partners with multiple marketing channels and will consult, design, and establish a website presence to serve as a marketing tool for the property. SVH shall bear the cost of design, establishment, and maintenance of any such website. SVH will have the sole rights to any content created and provided for marketing efforts. SVH will market the home using several marketing methods, including the StyleVacationHomes.com website, Internet tools, and other advertising to potential vacationers Some web channels, including the SVH web site, may require a Tax ID number and W-9 on file for each property for the purpose of securing payment through credit cards. Owner is required to submit to SVH a current W-9 Form including a Tax ID number to satisfy this requirement. SVH shall conduct activities under the direction of the Owner. SVH shall hold himself out to vacationers and potential vacationers and all others with whom he encounters in the performance of his duties hereunder only as an advertising and marketing representative of the Owner. Other than as specifically provided herein, SVH shall have no authority to enter or bind the Owner with respect to any other transaction. Owner understands and acknowledges that the contract that will be created for each vacation is strictly between the Home Owner and the Vacationer. Owner acknowledges that Louis Shaw, LLC is available to assists the guest with the reservation process and, as such, is not responsible for incurring costs for damages or expenses that result from the breach of the contract between Owner and Vacationer or for any damages that occur during Vacationer’s stay. Owner indemnifies and holds SVH harmless against damages, cost, liability, and expense that may arise from Owner’s failure to comply with Owner’s portion of this agreement. 8. Independent Status of SVH. The parties to this agreement are independent contractors and except as specifically provided herein: (i) are not representatives of the other; (ii) shall not have the power to bind the other; and (iii) shall not missate or misrepresent the relationship hereunder. This agreement shall be governed in accordance with the laws of The State of New Jersey. This agreement may not be assigned without the prior written consent of either party. The Owner shall provide proof of ownership of the property that he wishes to advertise on the LOUIS SHAW, LLC website, together with proof of insurance coverage . Items required are: 1) Deed of property or the most recent copy of the mortgage statement. 2) Copy of homeowner’s insurance policy. 3) Copy of the homeowner’s official Government photo ID. SVH agents are available to assist guests when unable to reach owner. SVH will need to have direct communication with the owner or his designated contact person while the vacationer resides in the home. All emergency situations that arise will be handled by the Owner within a 24-hour period. These emergency services include but are not limited to plumbing, fire, electrical, water, cleaning, and pool service where applicable. (An example of a plumbing emergency that may arise is a backed up/non-functional toilet, which can cause an unsanitary condition on the premises for the vacationers. This kind of situation needs to be rectified immediately, within 1 hour, for a home with one bathroom and 24 hours for a home with more than one bathroom). Owner must inform SVH of travel plans that may affect SVH’s ability to contact Owner. If Owner does not respond or is unable to respond within the period of time set forth in this clause, SVH has permission to make arrangements to rectify the situation on behalf of Owner. Owner agrees to reimburse SVH for any out-of-pocket expenses. As part of the marketing campaign, at the request of Owner, SVH will provide a professional 4-color, two sided 18” x 24” sign to the Owner to advertise the home and direct potential vacationers to the Owner’s web page.